Pundits had a mixed reaction to President Obama's speech at the Democratic National Convention on Thursday night. Overall, the rapturous reception given to Michelle Obama and Bill Clinton was left at the media doorstep. Most agreed that, rhetorically, Obama delivered a solid speech, saying that it was typical of the president's strong oratorical skills. Not surprisingly, MSNBC was home to some of the most glowing commentary. Chris Matthews remarked that Obama "did it again" and delivered "a home run speech." Al Sharpton said the address was "epic," and speculated that "Barack Obama won the election tonight." Rachel Maddow called it a "big, big speech." On CNN, Wolf Blitzer said he suspected people in the arena and around the country "were thrilled" by what Obama's words. Analyst David Gergen agreed with the positive assessment, saying that Obama seemed "very presidential." Not everyone was as gung-ho about it. "This was probably not the best speech of the convention," CNN's James Carville said, though he hastened to add that it was "very good." Anderson Cooper noted that some observers compared the speech to a State of the Union address that touched on a list of issues. NBC's Chuck Todd criticized that point, saying, "I'm in the workmanlike camp ... it seemed at times they were methodically playing the notes instead of lyrically playing the notes." At CNN, former Bush press secretary Ari Fleischer labeled the address a "hit and a miss." He criticized Obama for giving what he said was the "same old... same speech" that he said contained "many of the promises" from four years ago. Fox News was, predictably, home to some of the largest pockets of criticism for the address. Bret Baier questioned whether the speech really meant anything. "The question is whether this speech for all of the rhetoric in here ... whether his record over the last three-and-a-half years will trump the feeling in this hall," Baier said. Some of Baier's colleagues echoed that sentiment. "In fact, we heard a lot of goals tonight, but we heard no specific plans ... a lot of the things he did talk about were very canned," Chris Wallace said. Brit Hume added that he thought the speech had "its share" of "dishonesty" and a "significant number of straw men." Fox News pundit Charles Krauthammer was easily the biggest critic of the speech. 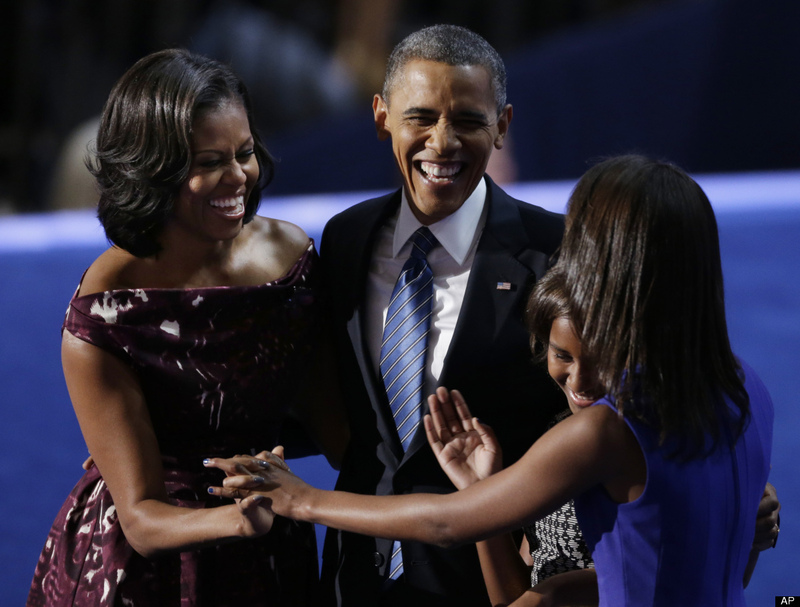 "He gave one of the emptiest speeches I have ever heard on a national stage," he said. "There was nothing in it ... there's nothing here that tells us how he's going to go from today to tomorrow." But Fox News' Juan Williams defended the speech, which he said was "very good," and argued that the night "wasn't about" laying out future policies. Joe Scarborough also seemed to declare the speech a victory over Romney, tweeting, "The President said nothing in his speech tonight. But he said it so much better than Mitt Romney when he said nothing in Tampa."